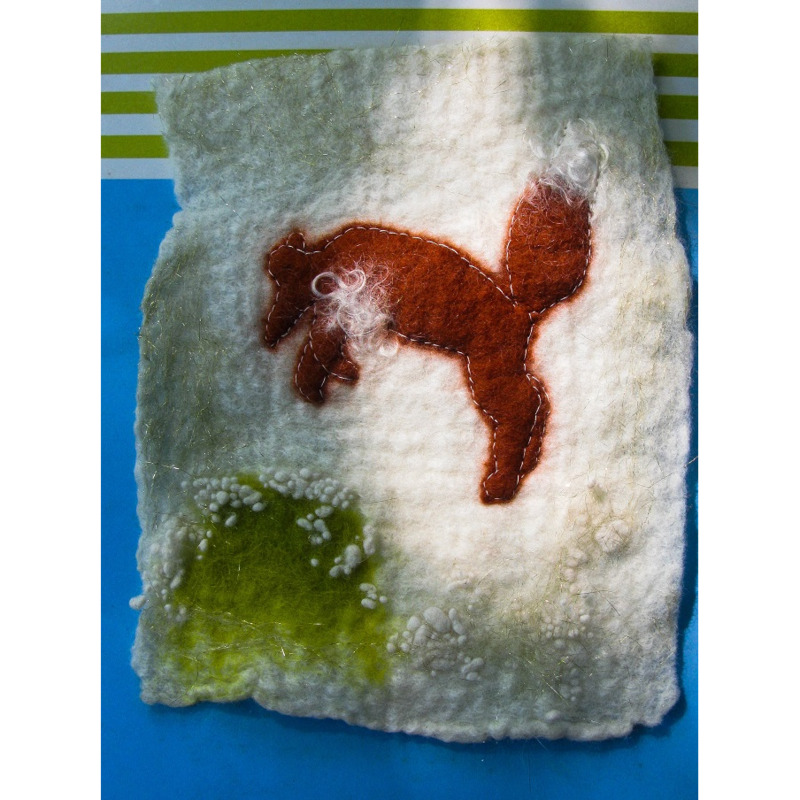 On layers of white merino wool, added silhouette of a pouncing fox from Felt previously made and green, white and gold sparkly wool details and some Felt bobbles to the final layer before Wet Felting. When the Felt was dry, hand embroidered details. Love the warmth and dimples of home made felt. 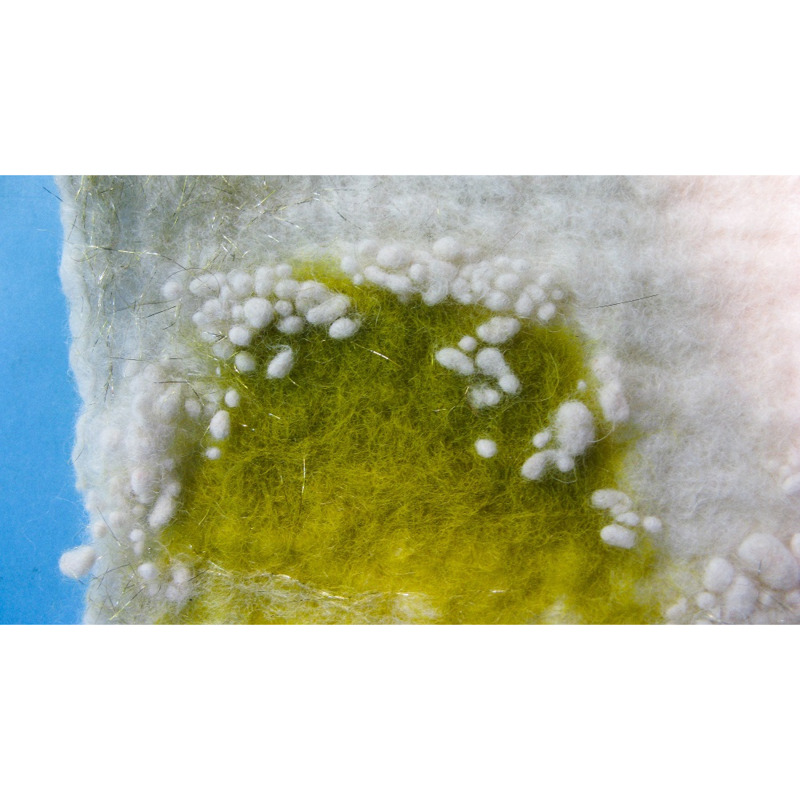 This piece of Felt was made to learn and explore the technique. Size of picture approximately 21 cms x 17 cms. This picture will be sold without frame.